When you move your computer mouse over the document a transcription will appear. Although not specifically stated, this contract represented a Lease of 400 acres of land along Hurricane Creek for which Milam would receive a deed on 24 May 1763. Note that he signed this contract with his mark: "TM" at the bottom right. 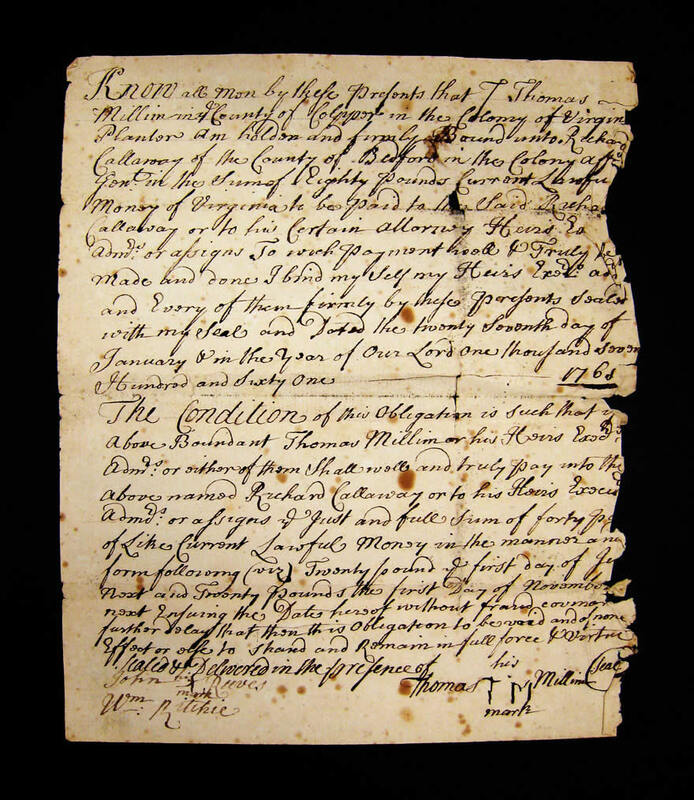 This contract was the core of a suit brought by Richard Calloway for late payment in February and March 1762. Thus it was in the 1762 "Judgments" box of old Bedford County records.